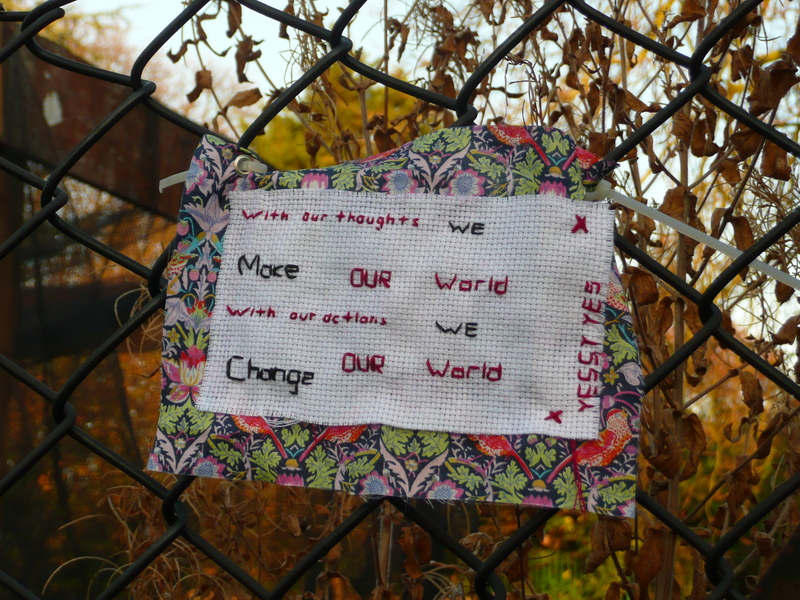 “I have been interested in Guerilla Art like this for a while now and have lots of love for Craftivist Collective. I met them at a Make workshop in House gallery and cafe in Camberwell. I think its an amazing and empowering way to put positive things into the world. It’s crazy wisdom which is unexpected and can influence people and plant seeds – little surprises in random places. I believe what I’ve sewn here with all my heart. The way we think and therefore feel and see things is in our control. There is so much potential. When we nurture positive thoughts they grow with the law of attraction and the littlest of changes or positive actions should NEVER be underestimated. If one person sees this before it disappears it was worth it. In fact, even if they don’t, it was. I grew stronger in making it. 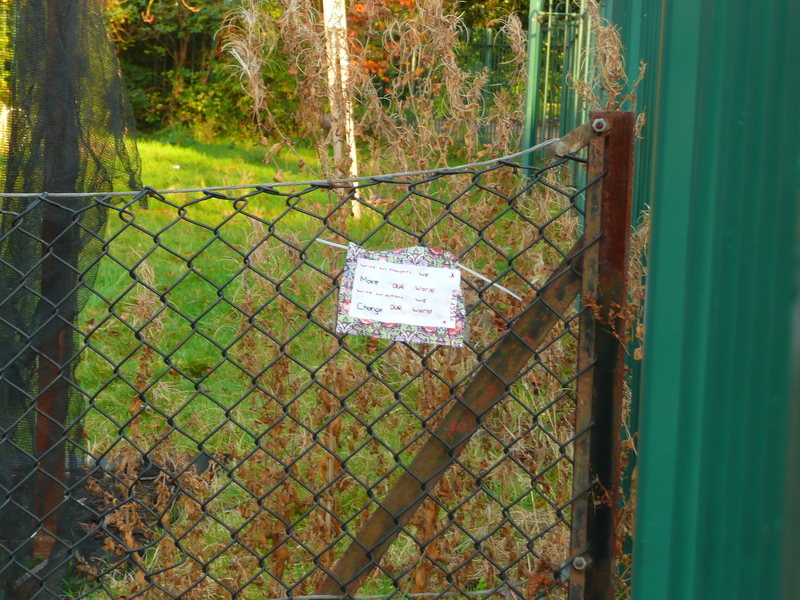 I put it in Ruskin Park in the Ruskin Park Community Garden in a fence just off the main path. 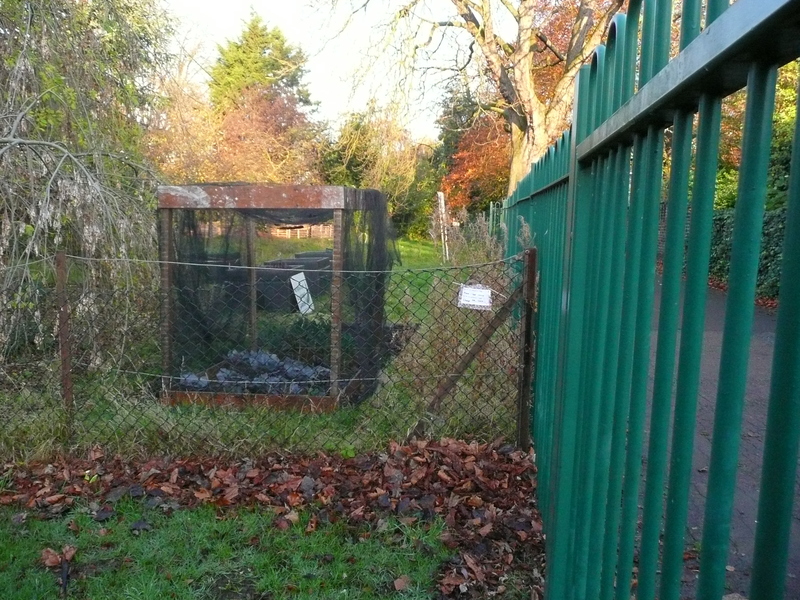 There is lots to see in this park but lots of abandon too – this might brighten it up.